DENVER, COLO. – This April, Frontier Airlines, the low-cost airline leading the way to low fares nationwide, will begin service on 69 new routes across the country and re-start 40 seasonal routes during April. The new flights are part of the Denver-based airline’s ongoing mission to make air travel affordable for more people than ever before. 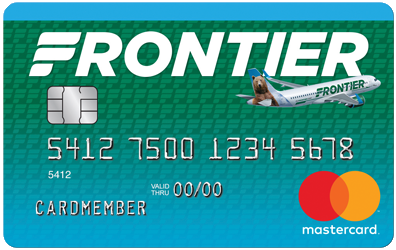 Frontier is known for its unique Low Fares Done Right philosophy that is built on offering passengers a friendly and reliable experience. Frontier makes it possible for more people to fly and for people to fly more often. In Austin, Frontier will launch 19 new routes this spring and serve 30 destinations non-stop, making Frontier the second-largest carrier in Austin when measured by the number of destinations served. The carrier will also expand service at Raleigh-Durham with 11 new destinations joining the roster this spring. In the summer, Frontier will add three new destinations from Raleigh-Durham which were just announced last week. In July, Frontier will begin service to Harrisburg, Penn., Portland, Maine and Syracuse, N.Y.
Fares must be purchased by 11:59 pm Eastern time on Apr. 11, 2018 for nonstop travel through Jun. 13, 2018. Travel is valid only on Tuesdays and Wednesdays. * 7 day advance purchase is required. *Travel between the following city pairs is valid only on Monday: ELP-ORD, GRR-PHL, MSY-RDU.